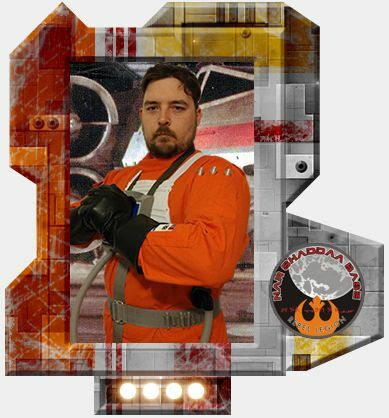 Rebel Legion :: View topic - Welcom to NSB Alex!! Posted: Fri Apr 07, 2017 11:19 am Post subject: Welcom to NSB Alex!! Welcome, and hooray for pilots! Welcome to the winning side, Alex! Welcome Alex! Glad to have another friendly in the skies fending off Imps! As CO of Outlaw Squadron, I want to welcome you to Nar Shaddaa Base and invite you to join the Outlaws. The official fighter squadron of Nar Shaddaa Base. Once they add you, I can add you to the roster and you will be an Outlaw! I be been living in the Chicagoland area for six years, that wont change for a long time to come. I wanted to join the legion after hearing about all the charity work that's done within the organization and I wanted to be a part of that! Can't wait to meet all of you and start doing some good! To my fellow pilots, Lets go grab some sky!